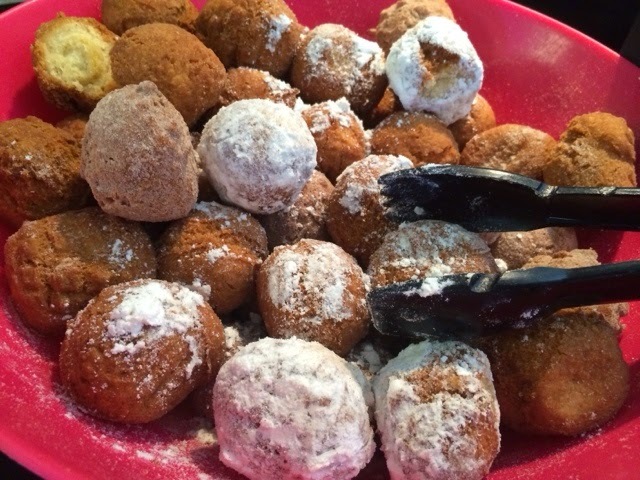 Sample some donut holes for free! 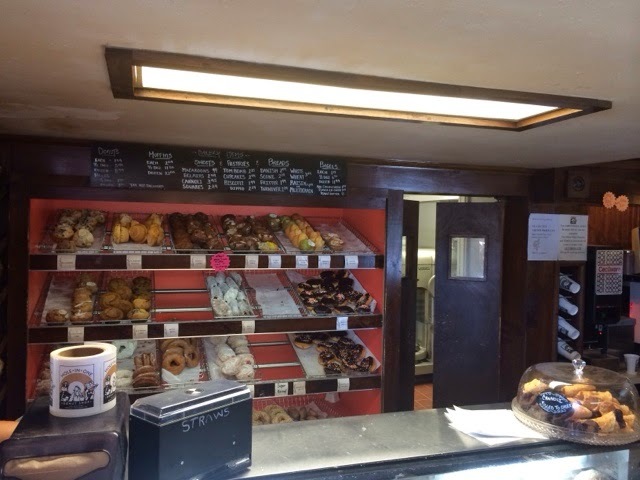 There's no better way to start the day than with a fresh donut and a cup of coffee. 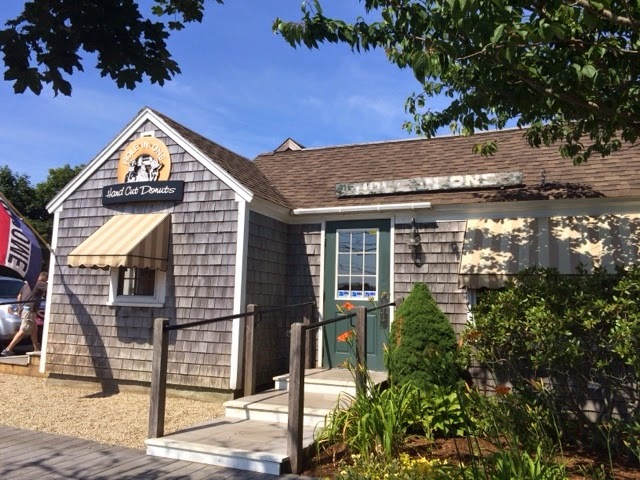 Hole In One donuts in Eastham on Cape Cod is getting a lot of buzz for having the perfect donut. If you come on the weekend, chances are, there will be a line out the door. Don't worry. It goes fast and is worth the wait. 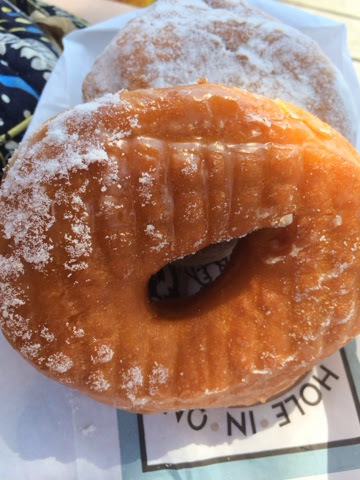 Hole In One's donuts are homemade and they are HUGE and crispy. They offer all of the standards including glazed, chocolate, jelly, chocolate covered and sugar raised. 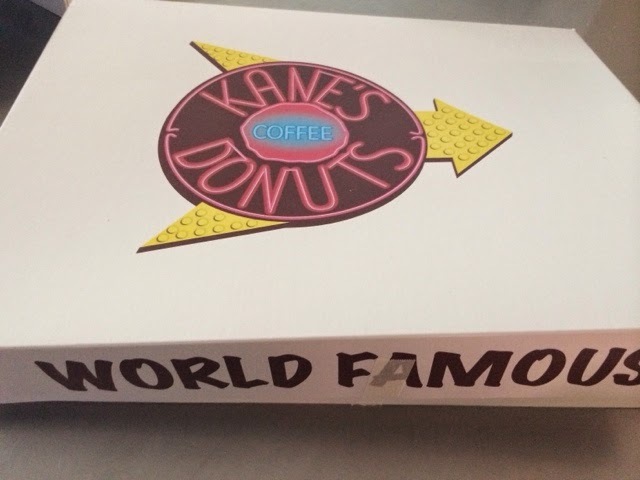 Try some of their hot or iced coffee with your donuts. There's some room to eat inside or you can eat in front of the store like we did. 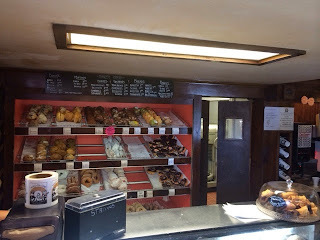 Hole in One also has a case packed full of different pastries like danishes and muffins, but go for the donuts! 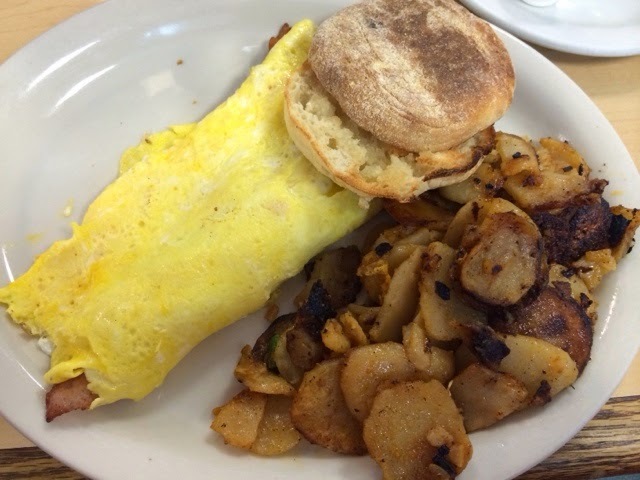 Ever since Mortensen's in Newington, CT closed in January, Eat Up New England has been on a search for a new breakfast place in Connecticut. 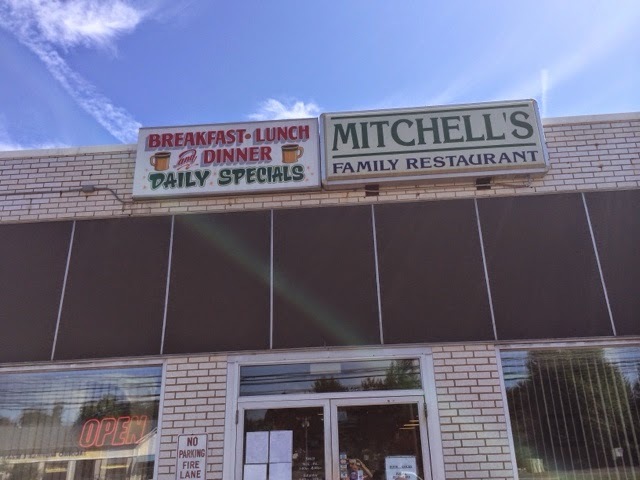 I'm happy to report, I found one over the weekend: Mitchell's Coffe House aka "Breakfast City" in Rocky Hill. This is one of those old school restaurants with a huge breakfast menu. There are 11 omelets on their regular menu and even more if you count their daily specials. I ordered the bacon and cheese omelet with cheddar. Not only was the omelet delicious, but I really liked the hash browns that came with it. Instead of huge hunks of potatoes, Mitchell's serves their spuds scalloped. 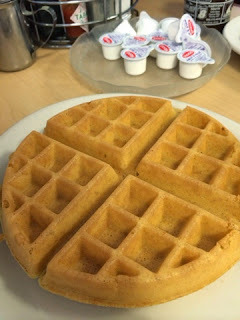 There are so many other breakfast items on their menu including 11 varieties of breakfast sandwiches, eggs benedict, waffles and French toast. Two highlights: the Mickey Mouse pancakes and, while we were there, they were featuring a fried dough French toast special. How good does that sound?! 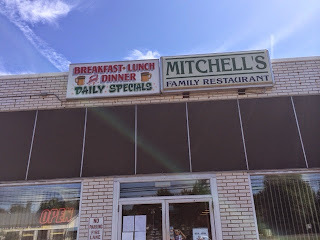 Mitchell's is also open for lunch and dinner during the week, but for right now, I'm just happy I found a new breakfast spot. Summer is one of the best times of the year for fresh fruits and veggies. 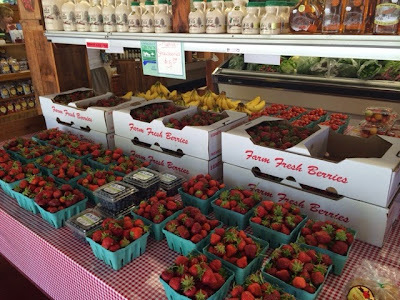 One of my favorite places to get the freshest produce around is at Draghi's in South Glastonbury, Connecticut. It's strawberry season and when you step inside, you'll smell their farm fresh berries. They have countless cartons and crates full of the summer fruit. You can even pick up a bag of biscuits at Draghi's to make strawberry shortcake. Draghi's is also one of my favorite places to buy corn on the cob. They are just starting to get it in for the season. Besides fruits & veggies, you'll also find a huge showcase of every kind of pie imaginable at Draghi's. They also have a greenhouse with annuals and veggies that are on sale right now for the end of the season. Everyone loves a slice of Boston's famous Regina Pizza. Some friends and I enjoyed dinner at Regina Pizza in Medford and shared some food. We started off with a large portion of their toasted ravioli and a few large Sam Summer Ale's. 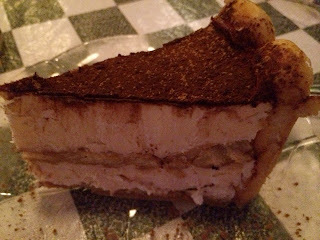 My favorite pizza of the one's we tried was the St. Anthony's Feast. 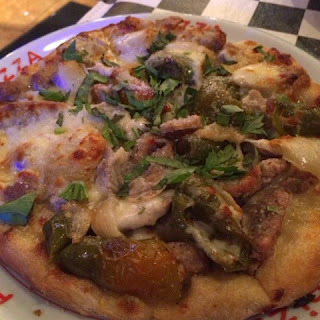 It's a white pizza topped with large pieces of sausages, onions and peppers. We also shared their vegetarian and shrimp scampi pizzas. A small will be enough for one to two people. 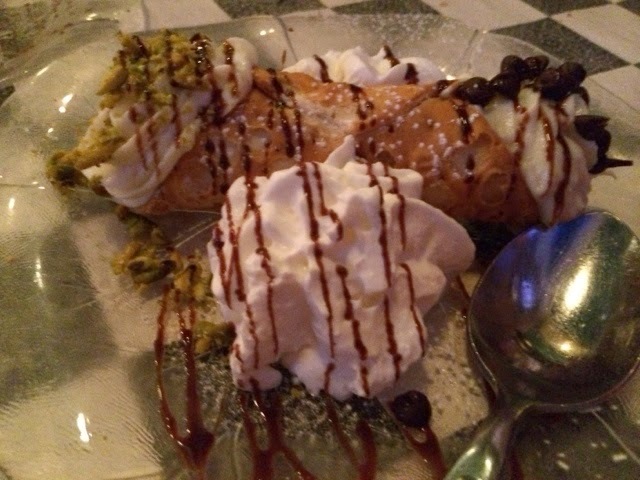 For dessert, we shared a cannoli and some tiramisu. 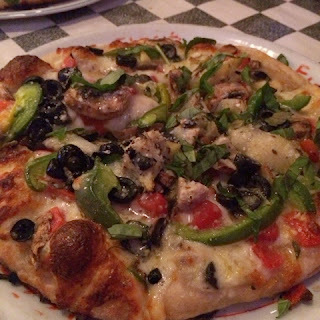 Really good pizza and a nice atmosphere. They also have a few salads and pasta dishes on their menu. 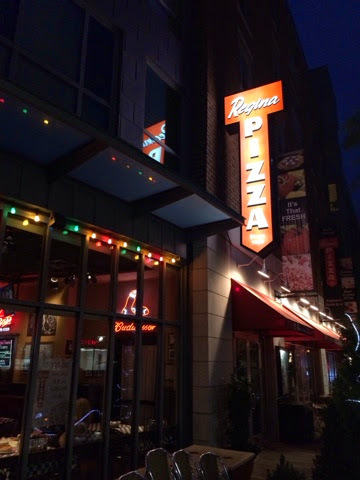 Regina Pizza has a bunch of locations around Boston, including a new one at Fenway and at Foxwoods in Connecticut. The Strolling of the Heifers was held in Brattleboro, Vermont this past weekend. Not only did I get to see the cows in the parade, I also enjoyed the fair held afterwards. 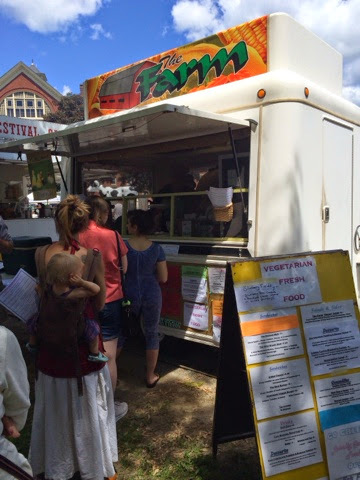 For lunch, I checked out The Farm Concessions food truck. It's based out of Keene, New Hampshire and offers vegetarian and vegan food. Their menu is full of yummy melts, salads and vegetarian quesadillas. 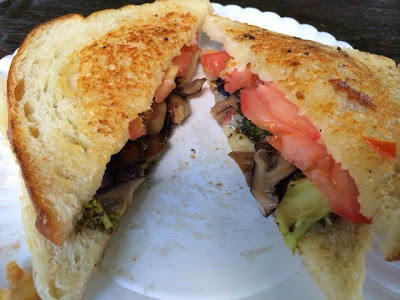 I really enjoyed their "Wild Woods Melt," with mushrooms, broccoli and Cabot cheddar. 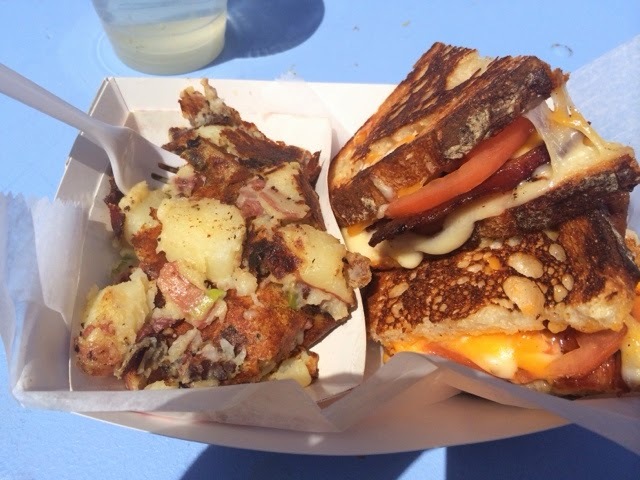 The Farm's "Orchard Melt" with sliced apples, crushed pretzels, Cabot cheddar and honey on grilled cinnamon raisin bread also looks like a winner. The Farm also offers daily specials. When I was there, they were featuring a "Blueberry Fields" melt with blueberries and provolone. It doesn't get much more New England than that! 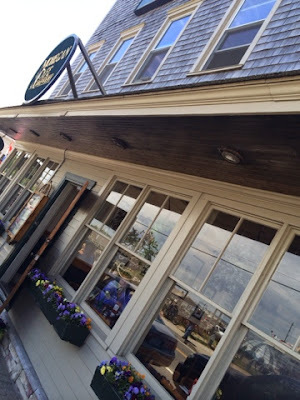 The Mohegan Cafe is one of the most popular spots to grab a drink on Block Island. That's because they have been making their own brews since 1999, making them the island's only brewpub. They serve several of their own beers. 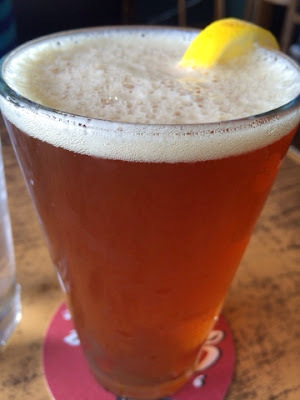 Their most popular brew is the Mohegan Pilsner, which is a light beer. In the mood for a darker beer? Try their Black IPA, which they describe as a dark roasted malt with a distinct coffee profile. I tried and enjoyed their Spring Wheat, which is served with lemon. The Mohegan Cafe is open for lunch and dinner. Their menu is full of comfort food, along with salads and plenty of seafood. 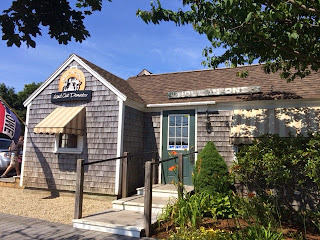 I ate their clam strips plate for lunch. 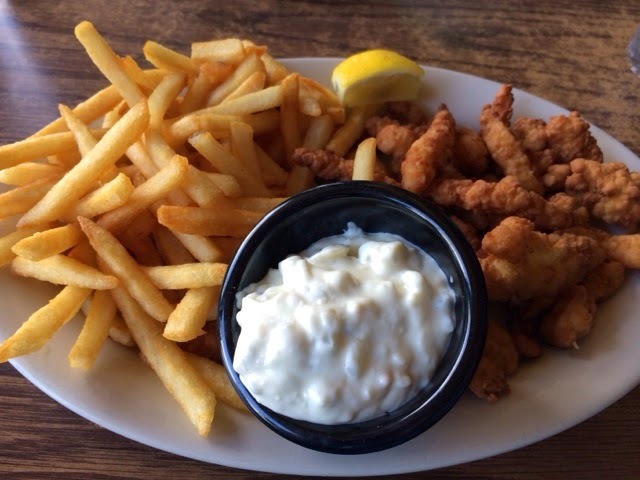 It was served with a pile of fries and tartar sauce. 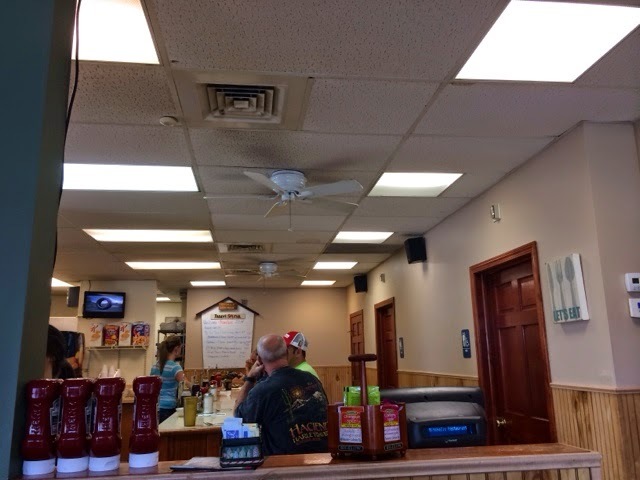 Customers also rave about their clam chowder. 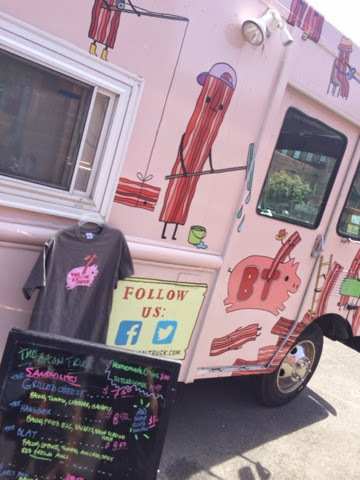 The SoWa Open Market is back for the summer in Boston's South End and with it, comes all of those food trucks! 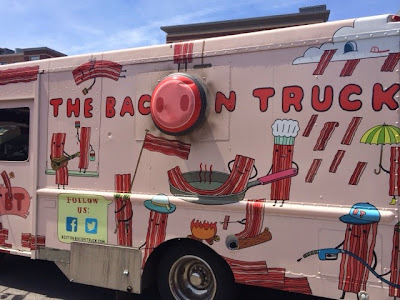 I made my first trip to the market this past Sunday and tried The Bacon Truck for the first time. The lines for all of the food trucks are longer than ever, but in this case, the wait was definitely worth it. They made the perfect grilled cheese, with crisp bacon, tomatoes, and ooey, gooey cheese dripping out of the sides of the sandwich. I also enjoyed a hearty portion of their bacon hash as a side. You'll definitely want to check out The Bacon Truck at SoWa and other locations around town.